When I first became interested in baking cakes (let’s say, at least 35 years ago), there was one thing I realized that I absolutely needed. A stand mixer. I was using mom’s hand mixer, but as any baker would know, there just isn’t anything like a stand mixer and some jobs (for example, meringues or marshmallows) just can’t be done without one. I don’t think I was too picky, at the time, about my stand mixer, so we just got a basic cheap one with plastic parts. It did the job. It made many cakes. 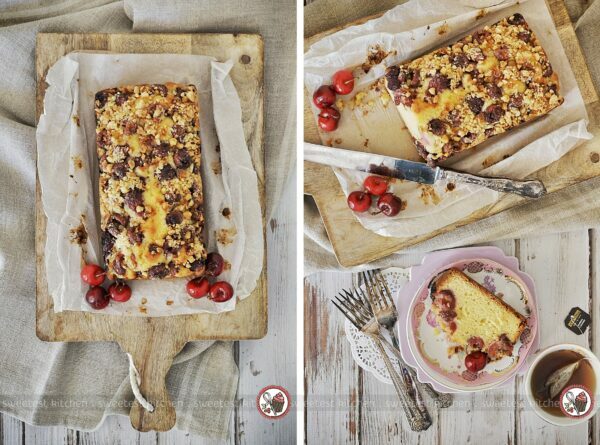 Then I moved away from home, eventually, and dropped the cake-baking for a long while. Many years later, I was sitting behind the counter at work with my co-workers, having lunch. One of them pulled out a little box, which contained dessert, from their lunch bag. I was still eating my lunch, but casually eyed this box to see what was in it. He pulled off the lid and inside was a delicious-looking slice of moist chocolate cake with shiny chocolate frosting. Looked great, but I hadn’t eaten a chocolate cake in ages and I wasn’t very interested. I kept eating my lunch. Then, the smell of that chocolate cake wafted over to me. It was intoxicating. It was almost like I had never smelled a chocolate cake before. I suddenly wanted chocolate cake. Badly. Within hours, I began searching for a chocolate cake recipe. But I was a bit limited in what I could make – I had no electric mixer at all and I didn’t feel like beating the heck out of a pile of butter and sugar until my arm fell off. I had to borrow an electric mixer from my mother-in-law. I didn’t even have a mixing bowl, either! I used a saucepan for my bowl and got to work on that chocolate cake. And from that moment on, I began baking. And began pining for a KitchenAid stand mixer. Years later, still, my mom actually bought a KitchenAid stand mixer, at my insistence, which I used for myself to make countless yummy things. When I moved to Australia, I won my very own KitchenAid stand mixer from Billy, who blogs at A Table For Two. My KitchenAid, Katie, is invaluable; I could not imagine doing what I do today and not having her with me. To me, the KitchenAid brand has always been synonymous with beauty and quality. Their stand mixers are beasts in the kitchen; whether it’s kneading dough, beating butter, whipping eggs, rolling pasta, grinding meat, juicing fruits, you name it, they get the job done. Reliable and hard-working, no baker should be without one. 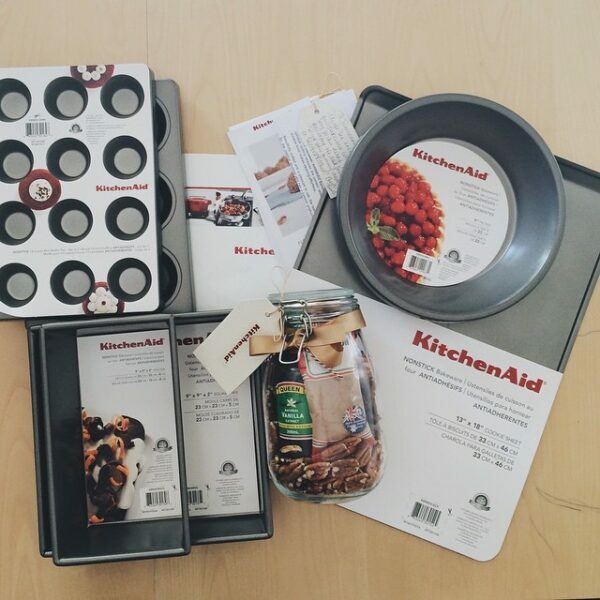 When I received word that KitchenAid had released a line of professional-quality bakeware, I was really excited. I had to get my hands on some. KitchenAid Australia emailed me and asked if I’d be interested in trying out the bakeware for my blog and soon the delivery man was knocking at my door with a big brown package. I did not expect so many pieces, nor special ingredients, to inspire me! How generous! 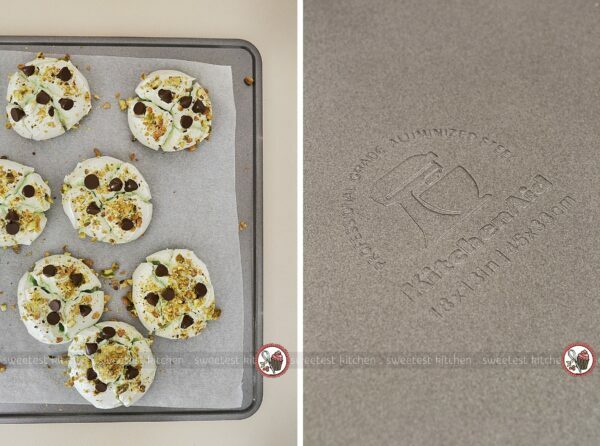 As I began working with the bakeware, I was immediately impressed with the solidness and weight of the pieces. They’re quiet heavy and feel nice to hold; definitely makes you feel like a professional baker! The tins have a PFOA- and PTFE-free non-stick coating, making washing-up super easy. And knowing this bakeware is from Kitchen-Aid, I’m confident the tins will last a very long time. 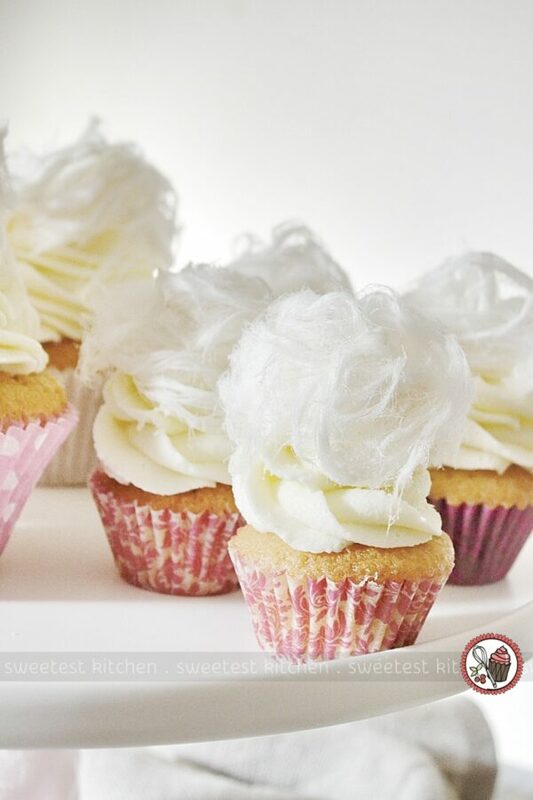 Vegan vanilla cupcakes with vanilla Persian fairy floss. These were really yummy, although admittedly very sweet. The vegan vanilla cupcake and frosting recipe are both from Minimalist Baker, only without the funfetti bit. Then, just a wisp of fairy floss on top. They look almost like albino Things from Dr Seuss! What I learned about these cupcake tins is that the holes seem to be slightly smaller than average. 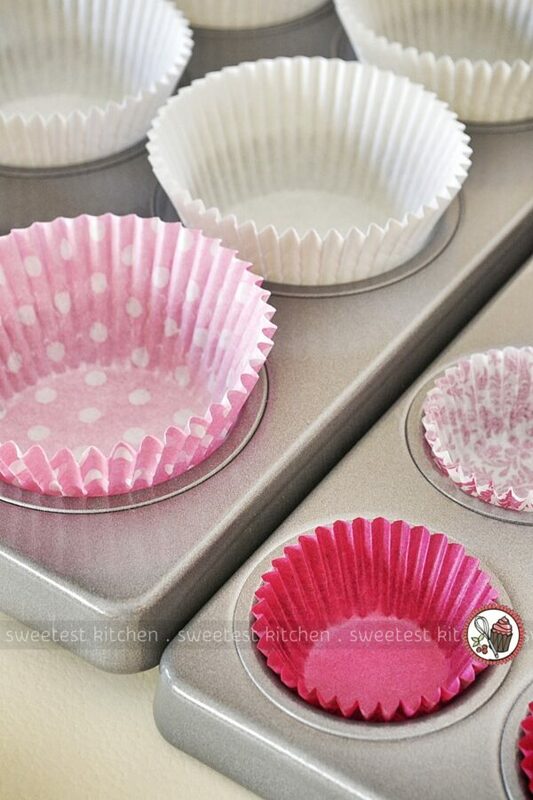 The majority of cupcake liners that I own come from Coles (which are slightly larger than normal) and these liners, as well as the more normal-sized liners, will not fit into the holes without creasing around the sides. 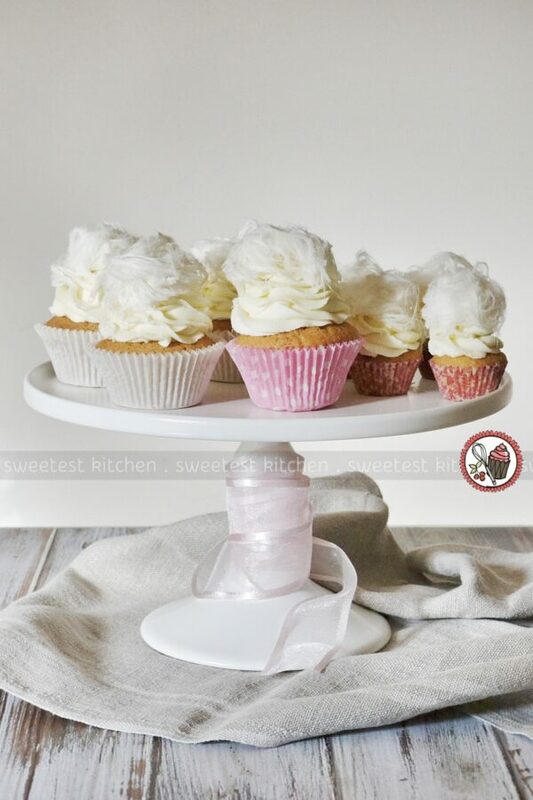 This means that I can’t get some of my cupcakes to sit up straight on a flat surface (see the second photo up – the cupcake in the front middle is sitting crooked). This is a little disappointing. The mini cupcake tin seems to have normal-sized holes, as I had no trouble fitting the liners in this tin. 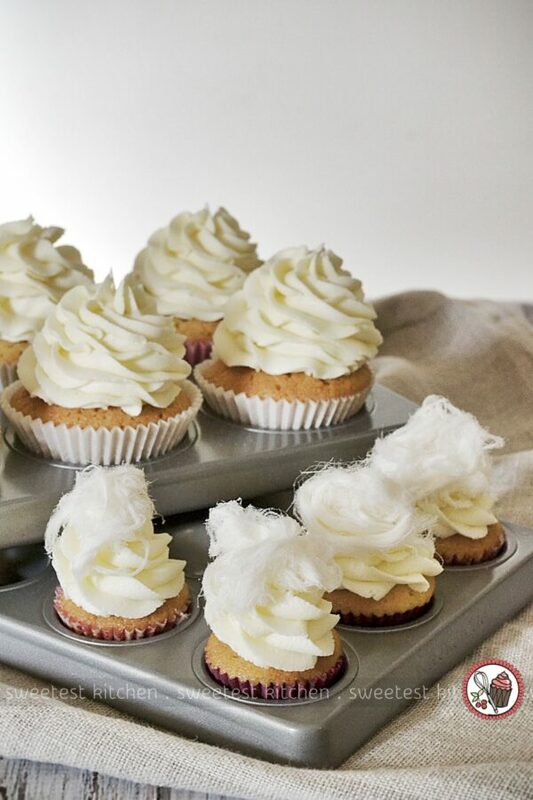 If you look at the below photo, the empty cupcake liners are actually resting above the bottom of the tin; there’s a gap between the bottom of the tin and the bottom of the cupcake liner. 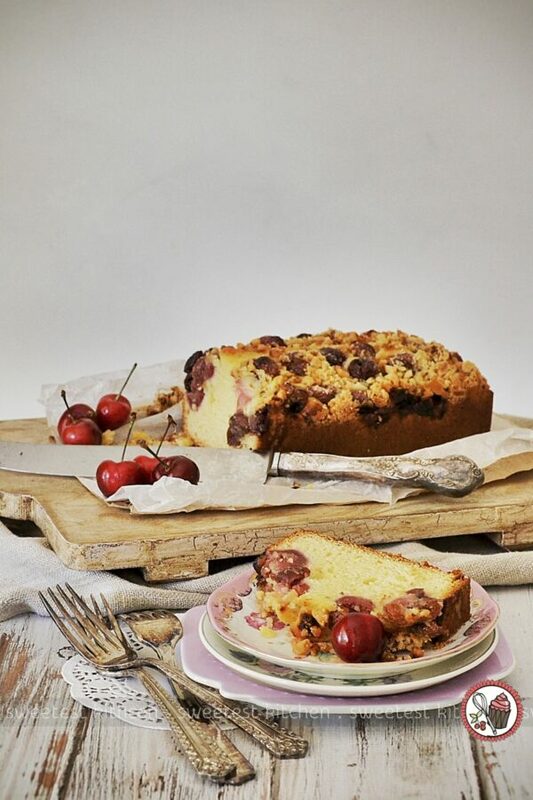 You may think the liners will sink to the bottom and be as normal when you pour in the batter, but what happens is, while the weight of the batter does make the liner sink to the bottom, the sides of the liners actually crease and fold up; the bottom of the liners become a sort of dome shape and after baking, will not sit flat. I, unfortunately, have no photo evidence of this for some reason, but I doubt I’ll be using this cupcake tin very much because my cupcake liners will not fit in! How upsetting! 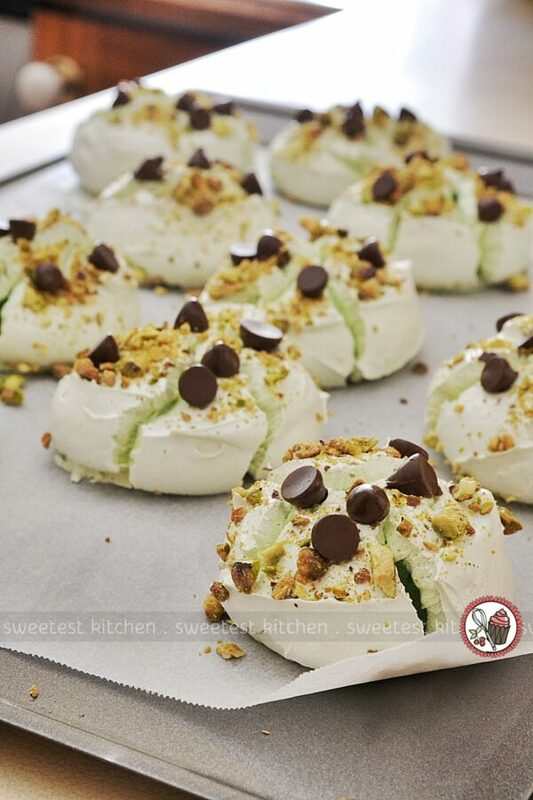 I found a beautiful recipe for pistachio and chocolate chip meringue cookies that looked absolutely irresistible from The Blonde Chef. 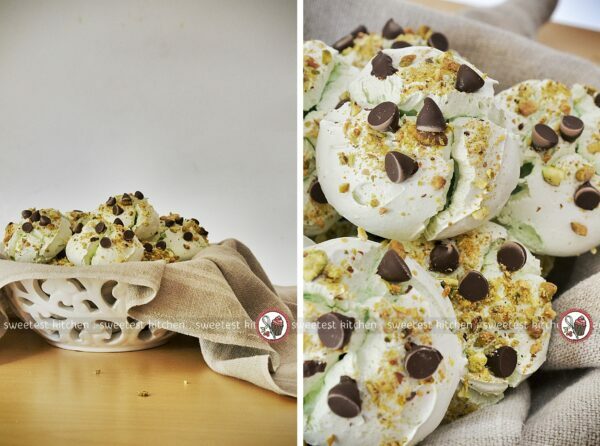 Everything went well while making these, but everything went wrong while baking! This was definitely not the fault of the baking sheet, which performed just as brilliantly as I expected. Friends and I narrowed the problem down to the good possibility that my oven temperature was too high, as the problem was with the meringues cracking. Despite the cracking, these babies were delicious. The inside was chewy, the outside was crunchy and the flavors were a perfect match. I have vowed to give these another go, although with a lower oven temperature. I would highly recommend this baking sheet to fellow bakers, and I’ll be using it for myself regularly. It’s sturdy, attractive and a good size for baking a number of larger-sized cookies, rolls, etc. and still allow room for spreading. Lastly, I gave the loaf pan a trial run. I could have made a classic banana bread and used the pecans that KitchenAid Australia sent me, but I felt like something a little less mainstream. 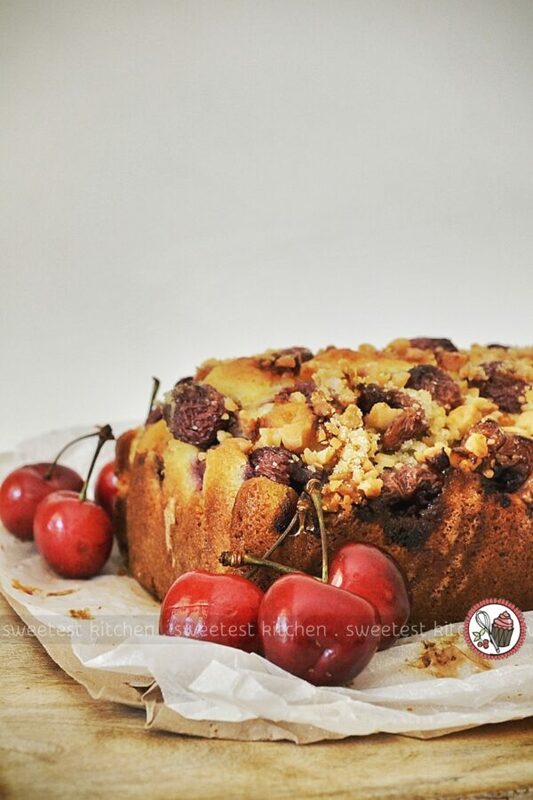 While browsing for ideas, I came across a cherry almond loaf cake from Living Tastefully. This was definitely something I’ve never made before; I’m not really a teacake kind of girl as I don’t like the denser style of cake. 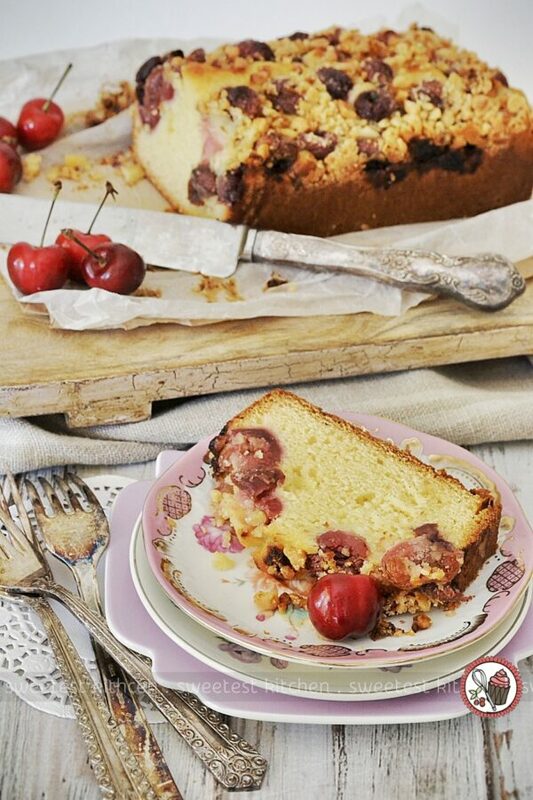 But the combination of fresh sweet cherries and almonds was very tempting. I have no complaints about the loaf tin. I love the folded sides on the tin; I’m not sure why, I’ve just always loved loaf tins with those folded sides! This tin gave me a loaf cake with lovely golden sides and a perfectly evenly rounded top. And as a bonus, the cake was really delicious and perfect for an afternoon tea! I’ll be using this tin for all my breads, quick breads and loaf cakes from now on. Despite all the things I loved about these tins (and the few that I disliked), what I absolutely love the most is that all the tins have their measurements embossed into them!! How many times have you searched through your cabinets and drawers, trying to find the right size baking tin? None of them have their measurements on them, so you have to go searching for a ruler because you can’t remember what size they are! How annoying is that! 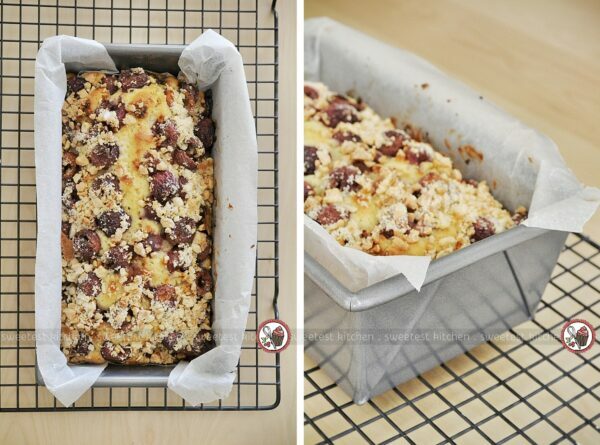 Not a problem with this bakeware; you’ll never have to go searching for a ruler again when choosing a baking tin. To sum it up, with KitchenAid’s new range of professional-quality bakeware, I feel confident you’ll be baking like a pro for years to come! Go out and treat yourself! 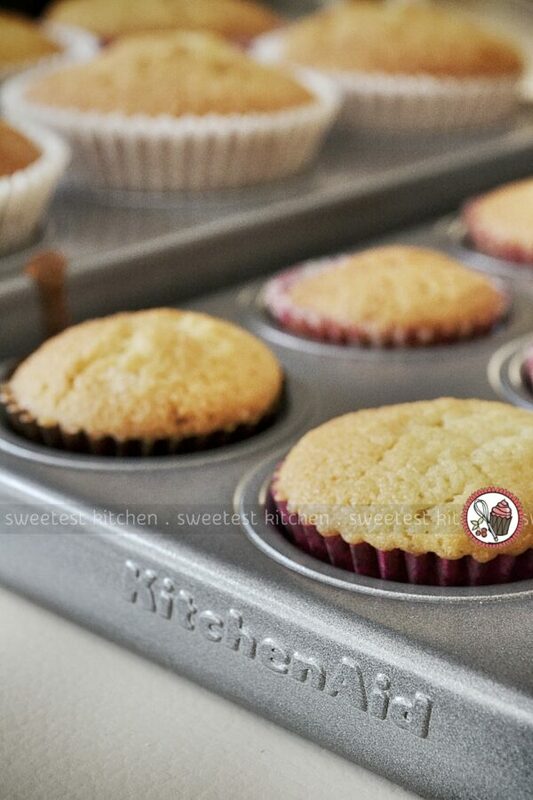 Please note, KitchenAid Australia provided the bakeware to make this review possible. I was not paid to write this review and all opinions and words in this post are my own.